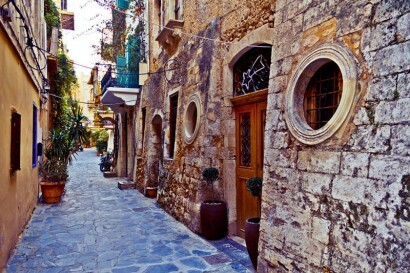 The magnificent Chania old town is the most photographed spot of the city. 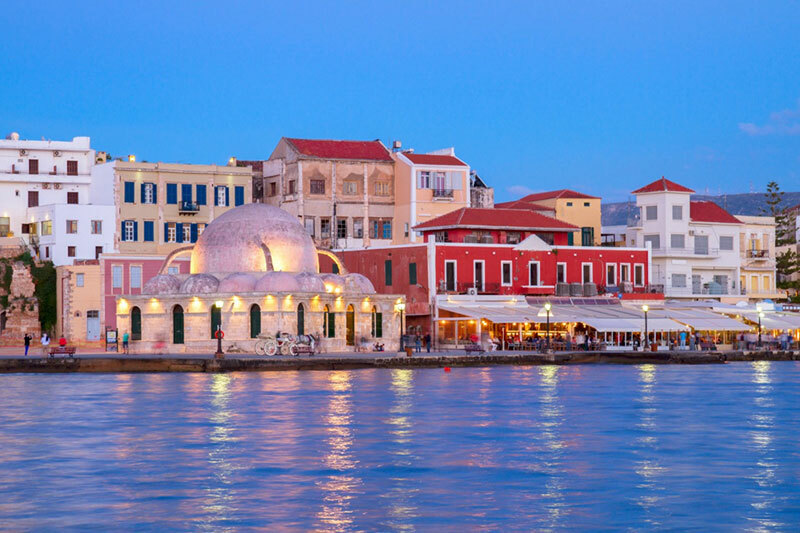 The heart of Chania is beating here during all summer, it is busy, full of cafes, restaurants and taverns with Cretan food specialties, bars, pastry shops, art shops and preserved historical monuments from different time periods. 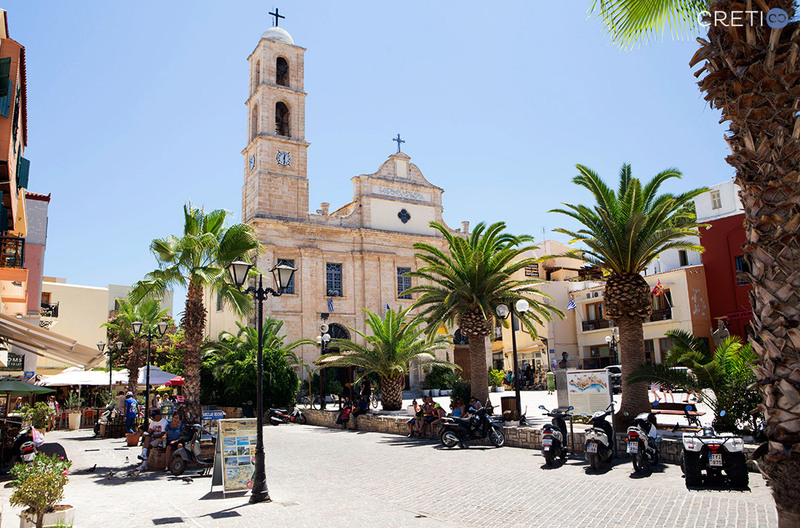 The Old Venetian Port will definitely attract you to stroll leisurely back in time and enjoy the mix of Cretan, Venetian and Ottoman elements, beautiful narrow streets leading to the old city, and its wonderful architecture. 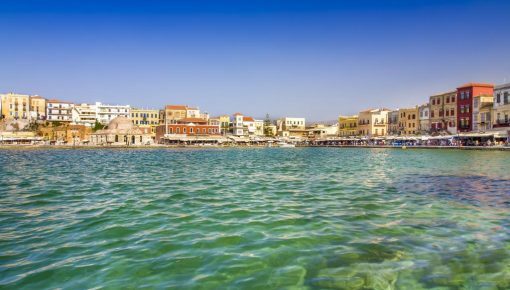 A visit to the Old Town of Chania and its Venetian Port is one of the 10 things you should do on your Crete holidays! You can start your walk on the waterfront of the old harbor and continue to the mole that will lead you to the lighthouse. 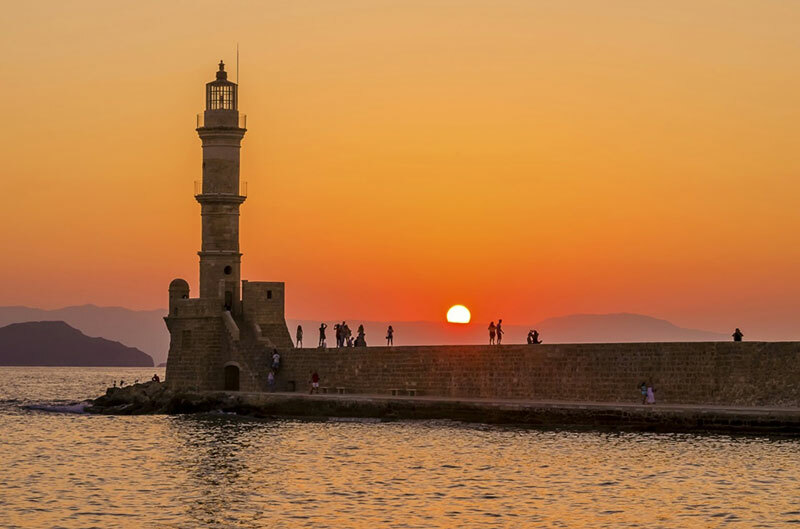 The beautiful Chania old port lighthouse was built by the Venetians and rebuilt by the Egyptians in the early 19th century, taking the shape of a minaret. From there you can enjoy a magnificent panoramic view of the harbor and the Chania old town with a background of the White Mountains! The walls of the “Firkas” Fortress where built by the Venetians to protect the harbor. 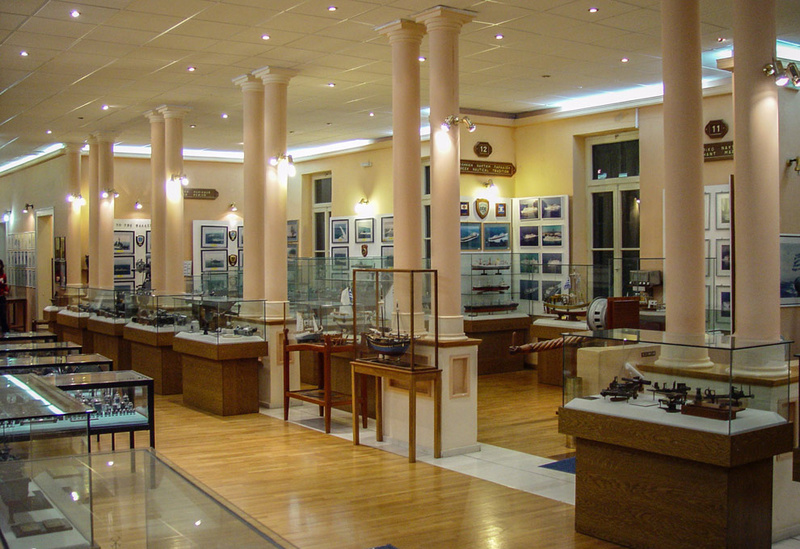 It was once housed the naval guard of the Venetians in Crete and today hosts the Maritime Museum of Crete, with a huge collection of nautical finds which illustrate the rich history of Chania. 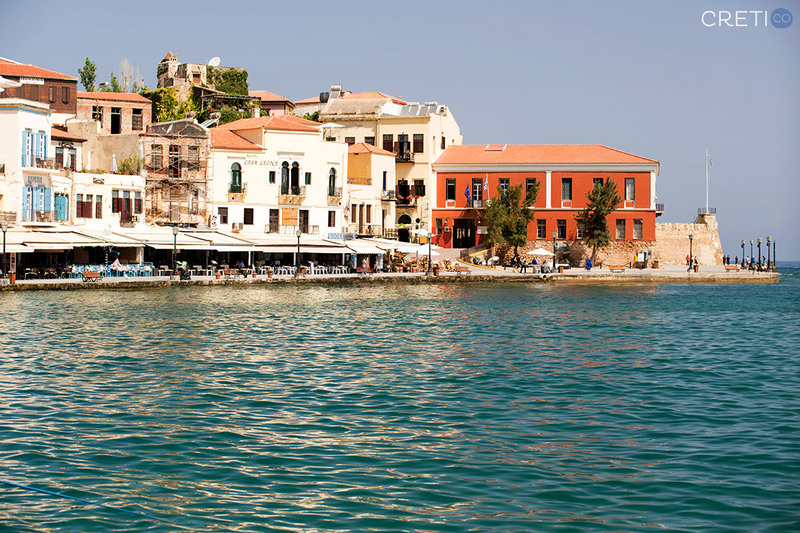 Your next stop if you visit the old port of Chania, has to be the old town. You can access the old town easily from any alley that connects the old town with the port. The narrow, labyrinthine alleyways are dated dating from different periods. You will enjoy a romantic strolls through the old buildings which most of them have been transformed into small hotels, shops and even homes that people still live in. You will also come across archeological excavations which brought to light rich discoveries and even floor plans of entire buildings. 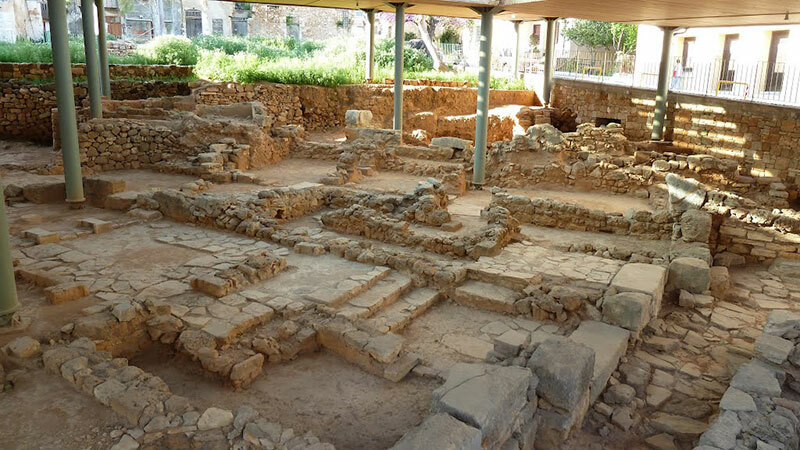 These are the evidence that Chania is built on the site of an important ancient Cretan city called “Kydonia”. 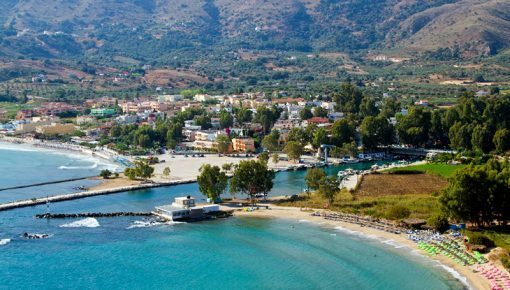 According to tradition, Kydonia was the third largest city founded BY King Minos in Crete (3.650-3.000 BC). 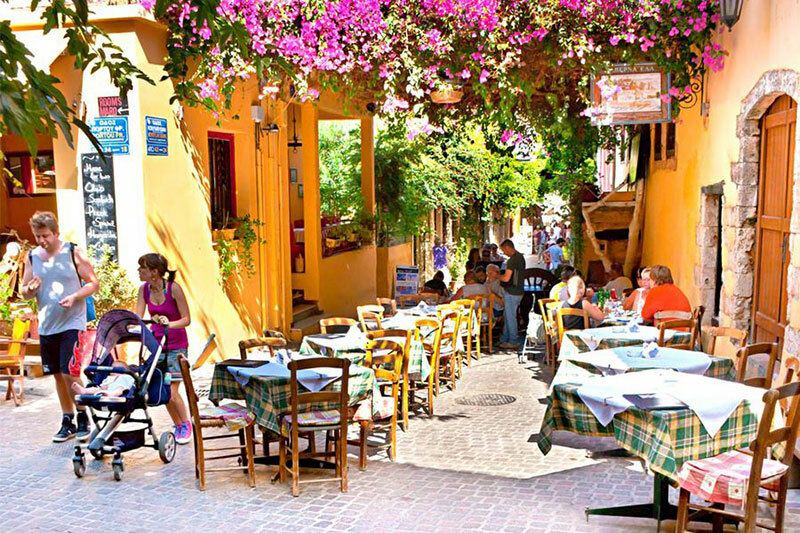 Kastelli: The “Kasteli” district is located on the hill above the harbor in the Chania old town. The archeological finds of this place prove that the history of Chania around 3650-3000 BC, in the late Neolithic era. Topanas: Behind the Firkas Fortress and the Navy Museum, is the prestigious district of the city, inhabited by Christians. The Turks called this western Christian area “Tophane” which in Turkish means “armory”. It is called like this because of the existence of the Venetian ammunition, located until today at the end of Theotokopoulou Street. 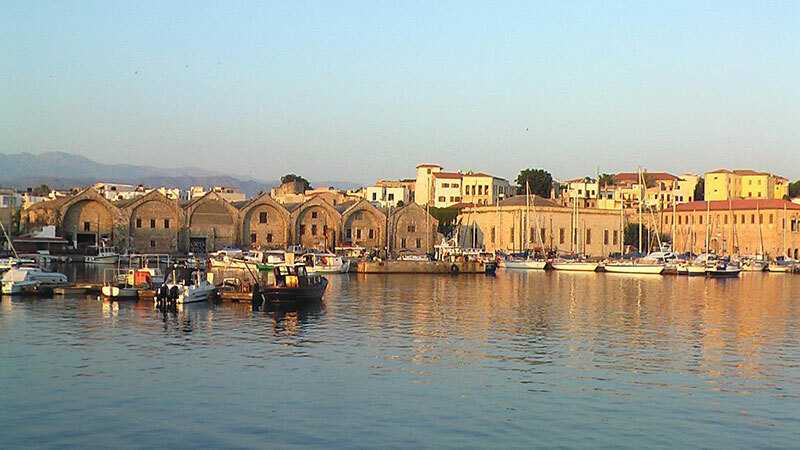 Since this district of the Old Port of Chania is called Topanas. Jewish district: After the conquest of Chania by the Turks in 1645, Jews created their own neighborhood behind the harbor, east of the Christian neighborhood of Topanas. The main street of the Jewish district was the street known as “Kondylaki” until today. It starts from the port and reaches to the southern city walls. You will notice that “Kondylaki” street is wider compared to the other narrow streets of the area. Venetians who built the city, made wider this path so as to be accessible by carts carrying supplies from the ships, to the south of the city walls. Today, Kondylaki street is one of the busiest streets of the old town. 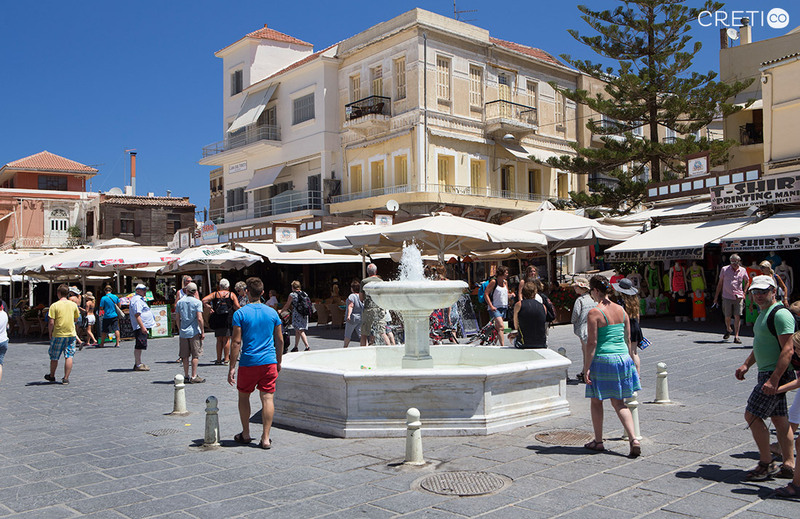 Fountain square: It was the central square of Christians in the Chania old town, during the Turkish conquest. 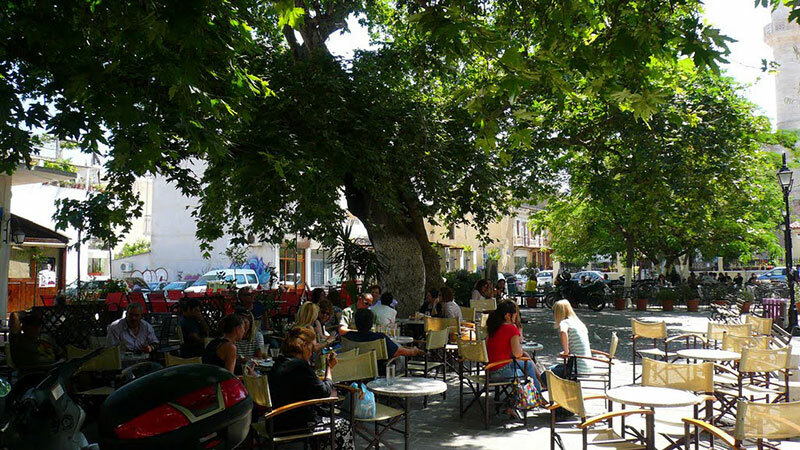 Now it is called “Eleftherios Venizelos” square and is full of cafés, restaurants and other shops. It is located next to the busy waterfront of the Old Port . Trademark of Fountain Square is the fountain in the center of the square. It is reminiscent of the Venetian fountain that existed here, decorated with lion heads and preserved in the garden of the Archaeological Museum of Chania. It is also a reminiscent of the Turkish fountain that existed during the Turks. 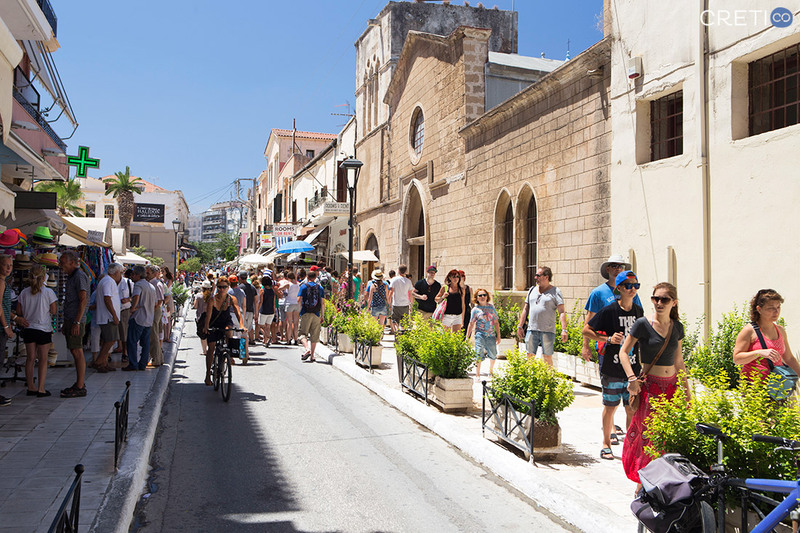 The Chalidon Street is the shortest route leading you from the center of Chania city, directly on Fountain Square in the center of the old town of Chania. On the right of the street is the Cathedral of Chania. A little bit further there is a genuine Turkish bath (hamam). Opposite the Cathedral is a Catholic church. 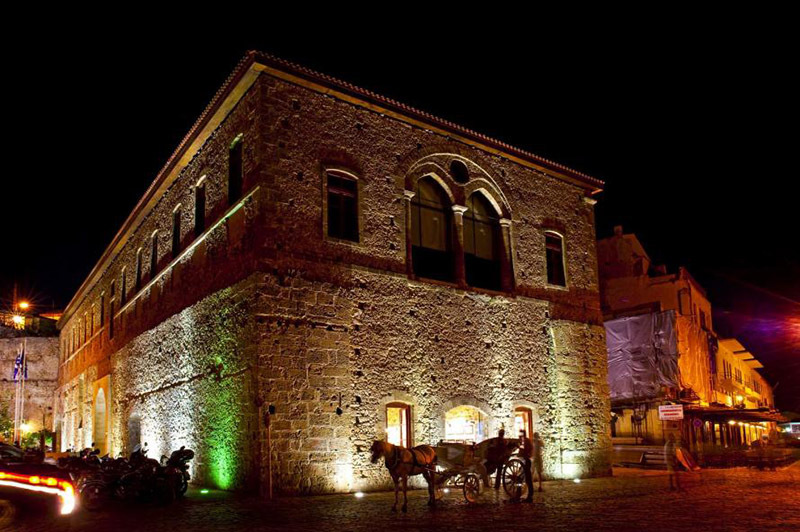 In its forecourt you will find the entrance of the Cretan folklore museum. Next to the Catholic, you will find the restored church of St. Francis (dating back to the 14th century). It is the most impressive Venetian church consisting of the nave and two closed courtyards. 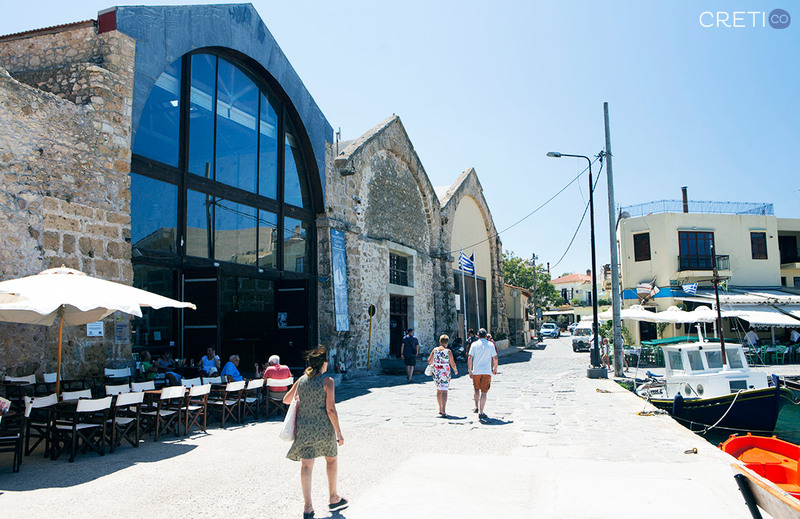 Nowadays it hosts the Archaeological Museum of Chania. It is certainly worth a visit, as you will utensils, mosaics and various other antiquities found in the area of Chania. Yali Mosque, the typical Turkish architecture building will surely grab your attention. Yali Mosque, which in Turkish means “seaside mosque”, is the oldest Muslim building in Crete. A part of its south side was destroyed by the heavy bombing of the Germans during the 2nd World War. Today the small internal area of the building is used for art exhibitions. After passing Yali Mosque, keep walking eastwards along the waterfront and you will see “Megalo Arsenali” (Great Arsenal). This two-story stone building is the westernmost of the Venetian arsenals-dockyards built by the Venetians to repair and construct their ships. It has been renovated and hosts the Center of Mediterranean Architecture. Immediately after the Great Arsenal there is an open space for parking. Then you will see the building of the old customs, parking space again and, finally, a preserved complex of seven dockyards (“neoria” in greek). The surviving dockyards of the old port provide an insight of the eastern basin of the port during the period of Venetian rule. They were open by the sea side, so that it is possible to salvage the ship. Today at this point there is a marina that hosts small boats. If you keep walking, you will see some taverns with excellent sea food and finally, the three dockyards of Moro. The left one was the last that was constructed during the Venetian rule. Today it hosts the Sailing Club of Chania. The rightmost of the Venetian dockyards was offered to the Maritime Museum of Crete. If you visit it, you will seea Minoan ship model of the 15th century BC being exposed. Splantzia: Its the district that is located south and east of the walled hill of Kastelli, at the back side of the dockyards. During the Turkish occupation, it was the Turkish neighborhood. In the center of Splantzia stands a huge plane and the church of St. Nicolas. 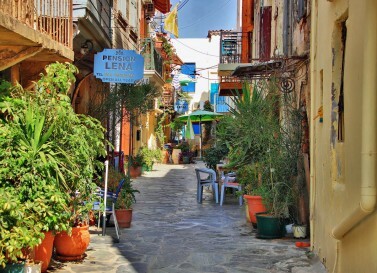 In recent years the district of Splantzia has fully reformed and turned into one of the most popular neighborhoods of Chania. You will find plenty of of cafes, taverns and restaurants. 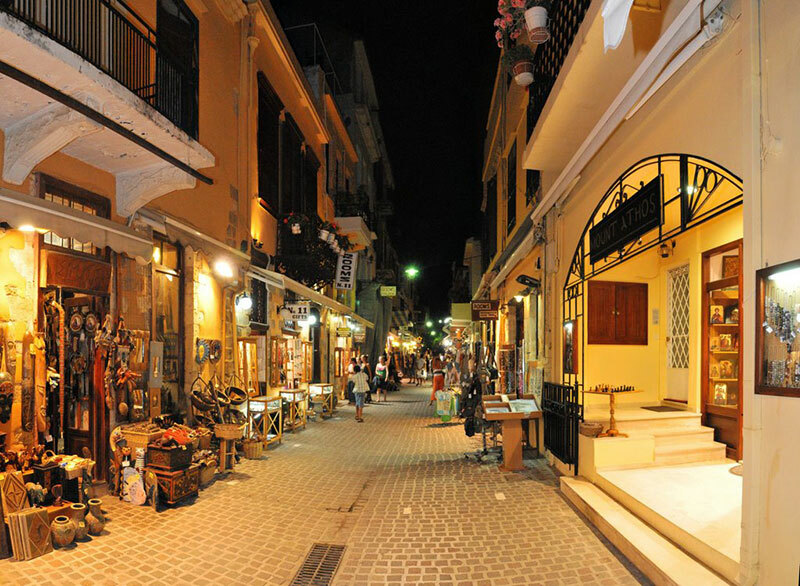 There are many shops that sell products of the Cretan land, clothes, accessories and beautiful souvenirs. The Municipal Market, located on the limits of the old with the new town of Chania, is a place with many shops of all kinds. Moreover, one of the popular shopping streets is “Stivanadika” in Skridlof Street. Years ago, it was the place where the traditional leather boots “stivania” were made. 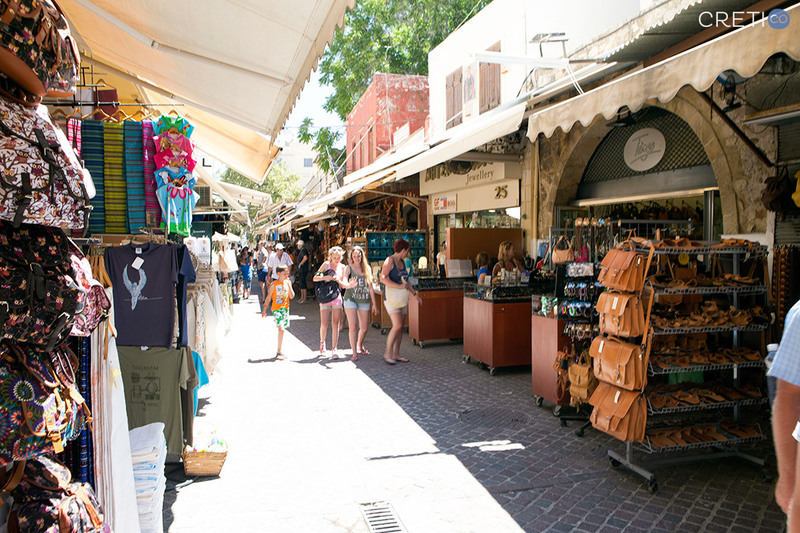 Today, besides the Cretan boots, you will find leather products and souvenirs. 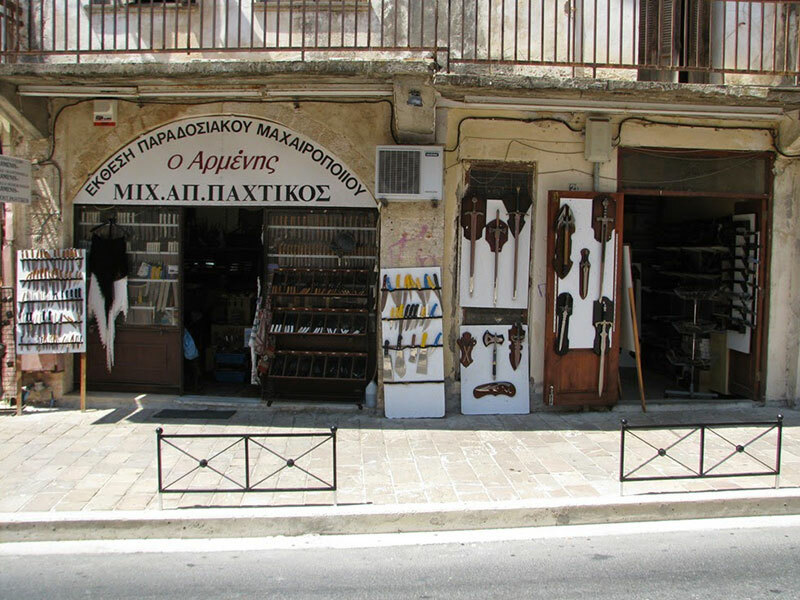 Finally, in “Macheradika”, Sifaka Street, you can buy some of the traditional Cretan knives. The knife is necessary for the traditional Cretan male costume and. Usually, you will read an imaginative Cretan couplet curved on it. 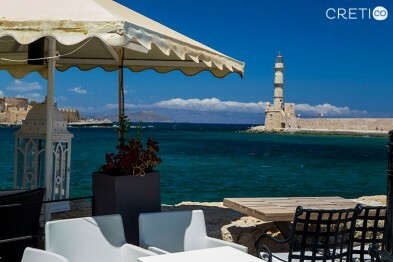 When you want to take a rest from your walks you can have a coffee or lunch in one of the many shops in the Old Town or the waterfront of the Venetian Old Port and enjoy the spectacular views to the sea, opposite the Egyptian lighthouse. 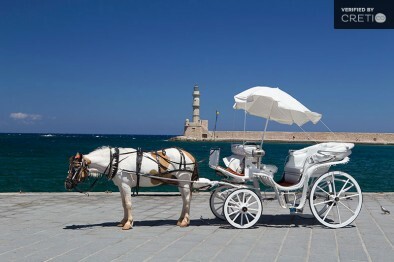 You can also take a ride with a horse-drawn carriage that will be waiting for you outside Yali Mosque, if you are tired from walking or just want to spice up your romantic tour in the old port of Chania. 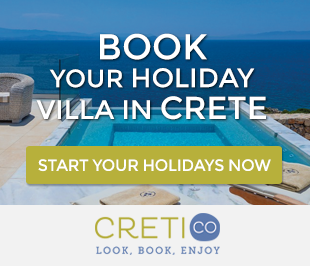 Posted on 14 Jul 2015 in Chania and tagged Chania Highlights, Crete Museums, Old Town Of Chania.